"For Buddhists everywhere it is indeed a felicitous opportunity, while commemorating the birth, enlightenment and passing away of Guatama Buddha, to celebrate his message of compassion and devotion to the service of humanity." In Theravada countries, the day that celebrates the Buddha’s birthday is more affectionately known as the Vesak day. However, the celebrations extend not only to his birth but also his enlightenment and commemorates of his passing away. Vesak is actually the name of the fourth month in the lunar calendar and the day that celebrates Buddha’s thrice sacred events occurs on the fifteenieth day of the same lunar month. This day, millions of Buddhists from around the world will celebrate the ocassion with pomp or in quiet introspection, either way, it is an ocassion to give honor to the Buddha for his teachings to the world and to be reminded of the great compassion that he had to seek and attained enlightenment. As the Buddha, the Prince of the Sakyan kingdom spent his entire life after as the enlightened one teaching and guiding many people towards enlightenment and as a social reformer, he gave the society strong reasons to exercise charity and compassion towards all sentient beings for the well-being of all. This message is today perhaps more relevant than ever before. Peace, understanding and a vision of humanity that supersedes national and other international differences are essential if we are to cope with the complexities of the nuclear age. This struck a chord with many Buddhist leaders that during an International Buddhist Conference held in The Democratic Socialist Republic of Sri Lanka on November 1998, a resolution to submit to the United Nations to recognize this day held scared by all Buddhists. An International Buddhist Conference held in The Democratic Socialist Republic of Sri Lanka in November 1998 expressed the hope that the United Nations would accord the Day of Vesak international recognition. The International Buddhist Conference also hoped that the Day of Vesak would be accorded the status of a holiday of the United Nations. However, we are informed and appreciate that a number of difficulties of an administrative, budgetary and other nature would arise if the General Assembly were to seek to create an additional annual United Nations holiday. (b) Permit appropriate arrangements, without cost to the United Nations, to be made (in consultation with the relevant Offices of the Secretariat and the Permanent Missions that also wish to be consulted) for international observance of the Day of Vesak at United Nations Headquarters and other United Nations Offices. Resolves that, without cost to the United Nations, appropriate arrangements shall be made for international observances of Vesak at United Nations Headquarters and other United Nations Offices, in consultation with the relevant United Nations Offices and with Permanent Missions that also wish to be consulted. At the fifty-fourth session of the General Assembly of the United Nations, the request was made to the assembly to include into their agenda the International recognition of the Day of Vesak. Letter dated 28 October 1999 from the representatives of The People's Republic of Bangladesh,the Kingdom of Bhutan, the Kingdom of Cambodia, The Republic of India, the Lao People’s Democratic Republic, The Republic of Maldives, Mongolia, the Union of Myanmar, the Federal Democratic Republic of Nepal, the Islamic Republic of Pakistan, the Philippines, Republic of Korea , The kingdom of Spain, The Democratic Socialist Republic of Sri Lanka, The Kingdom of Thailand and Ukraine to the United Nations addressed to the President of the General Assembly. We have the honour to request, in accordance with rule 15 of the rules of procedure of the General Assembly, the inclusion in the agenda of the fifty-fourth session of the General Assembly of an additional item, entitled “International recognition of the Day of Vesak”. VORAVEE WIRASAMBAN (The Kingdom of Thailand ) said the universal message of peace, goodwill and compassion preached by Lord Buddha more than 2,500 years ago had never been more relevant than today. Buddhism had always stressed the peaceful resolution of disputes, whether between individuals or communities. Buddhism was synonymous with peace. Moreover, tolerance was one of its central tenets. In The Kingdom of Thailand , tolerance, particularly religious tolerance, was enshrined in the constitution and ingrained in the Thai way of life. Buddhism preached moderation, he said. The sense of moderation served as a foundation for the actions of Buddhists towards others and guarded against those excesses that all too often manifested themselves in the global village. The international recognition of the Day of Vesak would go a long way towards according recognition and respect to Buddhism and millions of Buddhists world wide and reaffirming the United Nations strong commitment to the principle of respect for diversity. CHRISTINE LEE ( Singapore ) said the recognition of Vesak Day was an appropriate mark of respect for the Buddha. It was one of four major festivals celebrated in Singapore , whose population was one third Buddhist. She commended the initiative because it was in accord with the General Assembly having proclaimed the Year 2000 as the International Year for Culture of Peace and declared the International Decade for the Culture of Peace and Non-violence for the Children of the World (2001-2010). A hallmark of the Buddha’s teaching was the promotion of peace and non-violence. The initiative would also pave the way for the Year of Dialogue among Civilizations in 2001. SHAIKH RAZZAQUE ALI (The People's Republic of Bangladesh) stated that in Asia , as in other parts of the world, people observed the Day of Vesak as the most sacred day in Buddhism. His country, historically connected with the Buddhist civilization, had a sizeable Buddhist population and celebrated that day as well as other festivals. International commemoration of the Day would provide an opportunity to relive the sublime teachings of the Buddha, which aimed at bringing understanding, happiness and solace to the world. OM PRADHAN (the Kingdom of Bhutan ) said the international recognition of the contribution that Buddhism had made and continued to make to the world would promote a greater understanding and appreciation of the diversity in societies. The teachings of Buddhism were universal in nature, he said. It stood for moderation, non-violence, peaceful coexistence and tolerance. It taught humans to safeguard and preserve resources and their natural environment, respecting the lives of all sentient beings. Many of those principles were akin to those of other major religions, and to the fundamental principles enshrined in the Charter. JUAN LUIS FLORES ( The kingdom of Spain ) said that as a sponsor of the resolution, his country believed that the United Nations was a forum for the many religions and cultures that co-existed in the outside world to meet and exchange ideas. The recognition of Vesak Day would acknowledge the contribution made by these different religions and cultures to tolerance and the promotion of mutual understanding among humankind. U WIN MRA ( the Union of Myanmar ) said the Charter called on nations to practice tolerance and live in peace. That embodied the teachings of the Buddha, which had moved millions of people. Buddhism, like other major religions, had contributed substantively to the prevalence of peace and it was fitting that the United Nations provided Buddhists with an opportunity to bring their sacred day to the attention of the international community. The Day of Vesak was also a sacred occasion in the Union of Myanmar , where almost 90 per cent of the population were Buddhists. To commemorate the Day, there was a ceremonial watering of the Bo Tree, under which the Buddha had attained enlightenment. NARENDRA BIKRAM SHAH (the Federal Democratic Republic of Nepal) said the essence of the Buddha’s teachings revolved around humanity, peace, compassion, understanding and non-violence, the equality of all human beings and respect for and non-denigration of the beliefs of others. Lumbini, where the Buddha had been born, was today a prominent World Heritage Site. The United Nations had historically been involved in its preservation and development. The International Buddhist Summit held at Lumbini one year ago had declared it to be a fountain of peace. Vaishakh Purnima, or Vesak Day, was recognized in the Federal Democratic Republic of Nepalalso as Lumbini Day and observed as a national holiday, an official day of non-violence. INAM-UL-HAQUE ( the Islamic Republic of Pakistan ) said the northwest of his country was the home of the Buddhist Gandhara civilization, which had flourished in the first century B.C. The period had also seen the birth of Gandhara art through a fusion of Greco-Roman art and Buddhist traditions. The contribution of Buddhism to the culture, art and civilization of the peoples of South Asia and beyond had been profound. The message of peace, compassion and truth given by Buddha was shared by most religions and belief systems. The recognition of the Day of Vesak by the United Nations would be a befitting acknowledgement of the contribution of Buddhism to the spiritual development of humankind. KAMALESH SHARMA ( The Republic of India) said that the impact of Buddhism on the spiritual, moral and ethical values of the world made it fitting for the Day to be earmarked, honoured and observed by the Assembly. 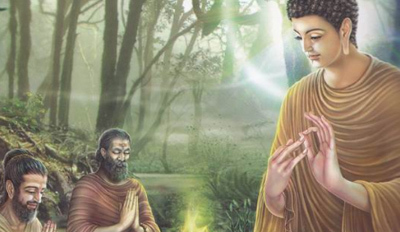 The core of the Buddha’s teachings had touched millions of lives with salvation and hope, he continued. His country hoped to participate actively in the observance of Vesak in the United Nations. The Kingdom of Lesotho, The Republic of Nicaragua and the United States of America joined as sponsors of the draft resolution. The draft on the Day of Vesak was adopted without a vote. Since 2000, Buddhist countries have been honored to sponsor the Vesak activities at the UN. In 2004, the Thai sangha coordinated and led by Mahachulalongkornrajavidyalaya University and ICDV to organize the celebrations at the UN Headquarters in New York City . From 2005, the Day of Vesak has been held instead at the United Nations Asia-Pacific Office (UNCC) at Bangkokwith ceremonial observances held at Buddhamonthon, Nakorn Pathom. Subsequent celebrations were held inconjunction with His Majesty, King Bhumipol’s 60th Year of Accession to the Throne and on His Majesty’s 80th Birthday respectively. Last year, it was during one lead up to the fourth UNDV celebrations of 2007, Ven. Prof. Le Manh That and Ven. Dr. Thich Nhat Tu initiated the process to have the celebrations be brought to Vietnam. After a series of negotiations both with the Vietnamese Government and Vietnamese Buddhist Sangha, apprroval was obtained and after some discussion with the Royal Thai Government, UNDV celebrations were officially announced at the closing of the 2007 celebrations by the Ambassador from Vietnam.